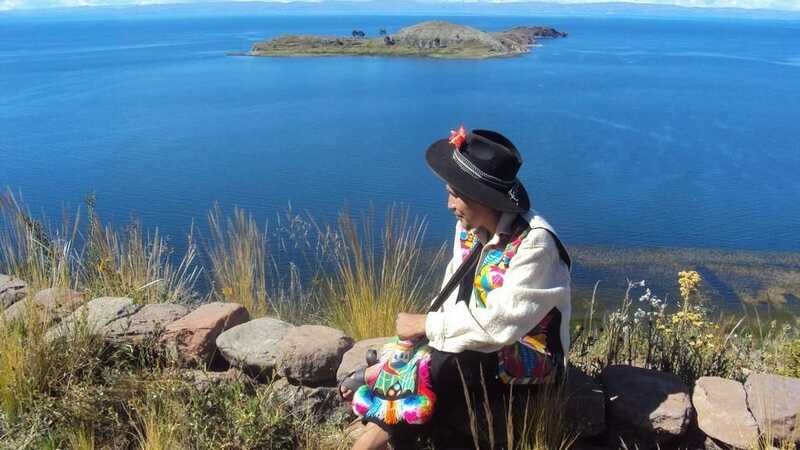 Navigate the largest lake in South America and experience local life on this unforgettable Lake Titicaca tour from Puno. Visit unique communities filled with important ancient traditions that are still practised today. Become part of a fascinating rural village when you take your place as a member of a new local family. Experience an everyday Quechua life as you walk through this enchanting setting, mingling with the local inhabitants. Learn about beautiful textiles and after a light trek, take in views of the stunning lake and agricultural terraces that surround you. 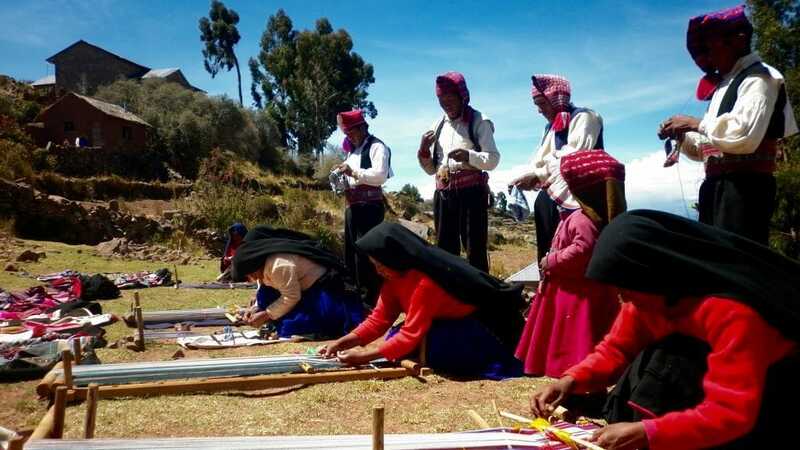 Gain an exclusive, firsthand look at local life when you embark on this spectacular Lake Titicaca tour from Puno. 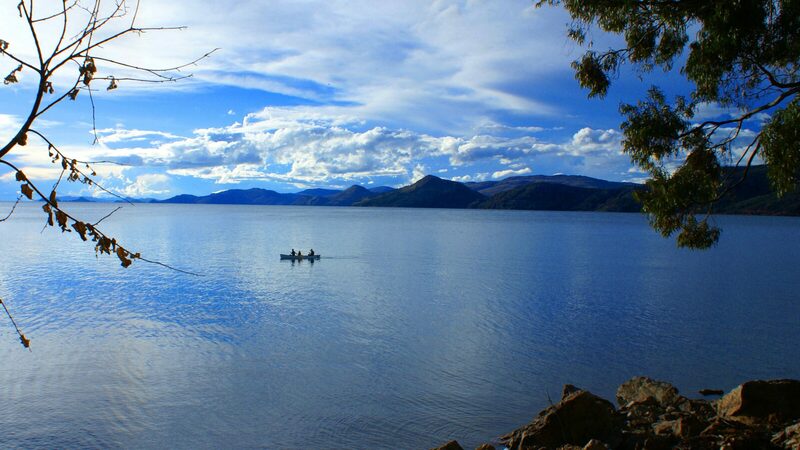 Navigate the waters of the expansive Lake Titicaca, feeling its refreshing breeze and enjoying the deep blue water and sky. 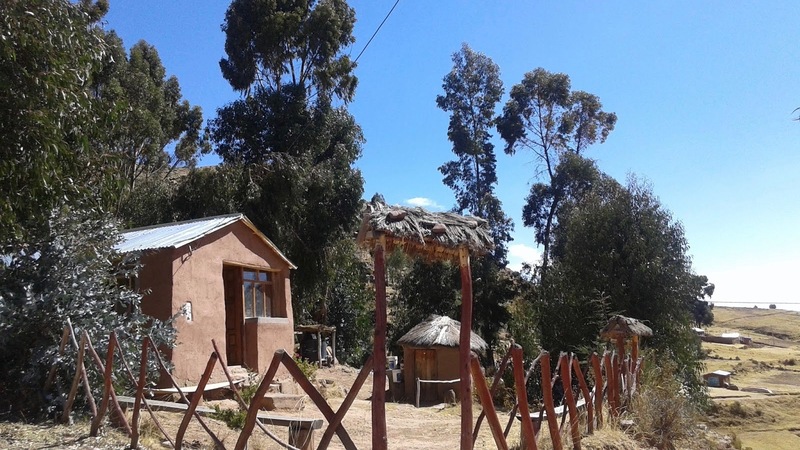 Experience community-based tourism with a homestay in the rural village of Llachón. Walk through this delightful village and enrich your knowledge of the local people and their ancient traditions. 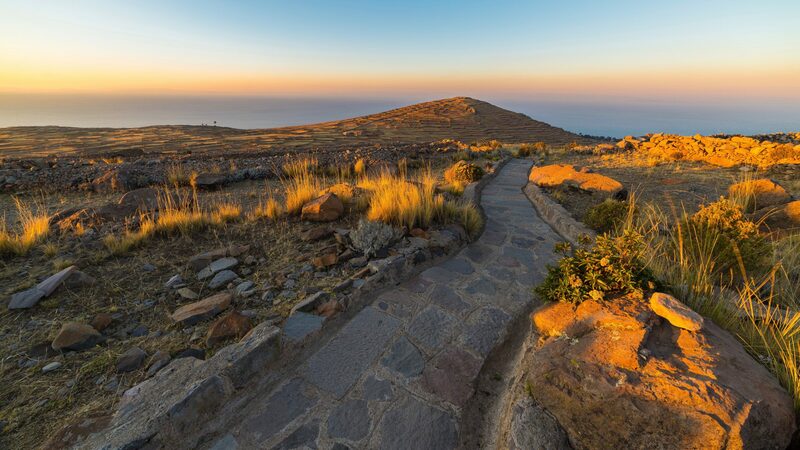 Rise to the top of Cerro Carus, where you can admire all the beauty of the fascinating views of Lake Titicaca. 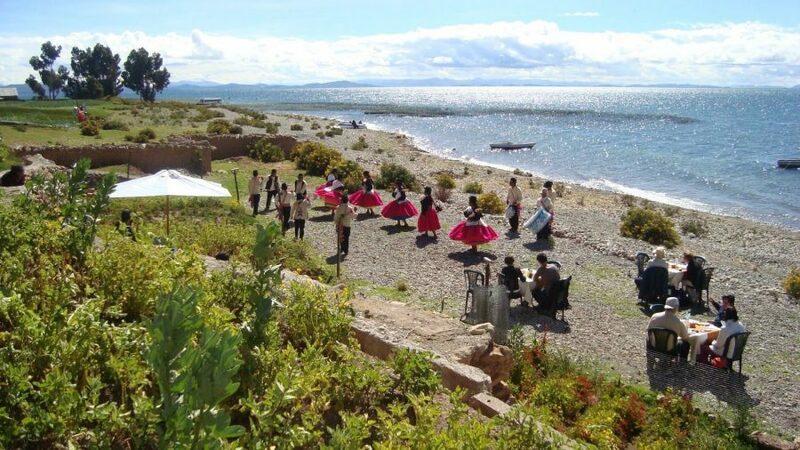 Please see the “Tour Plan” tab for the the full itinerary for the Local Life on Lake Titicaca Tour from Puno. 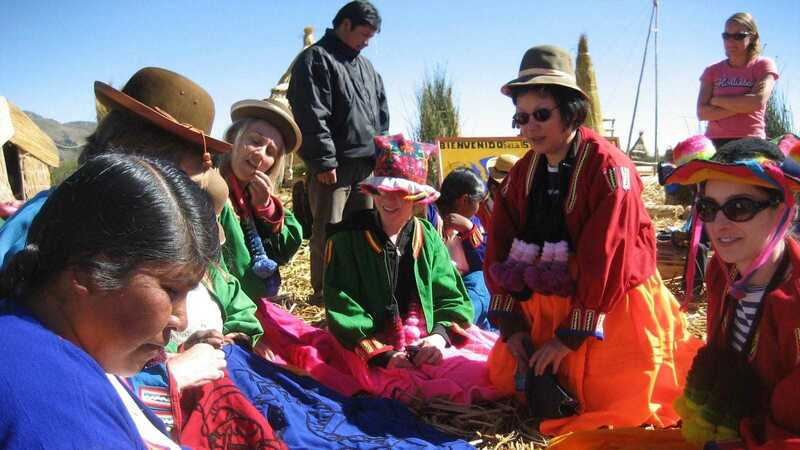 Day 1 | Puno to Lake Titicaca: Venture on this remarkable Lake Titicaca tour from Puno. 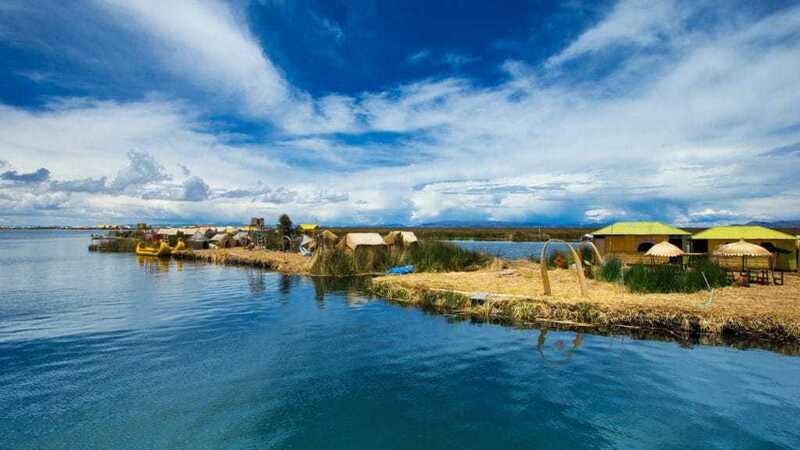 After arriving at the lake, you’ll have the opportunity to visit Uros. 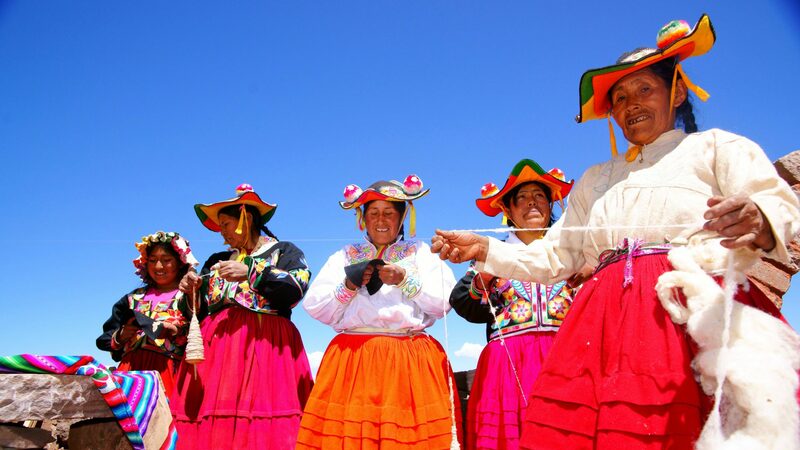 Travel on to Llachón where Quechua Peruvians still practice a traditional lifestyle. 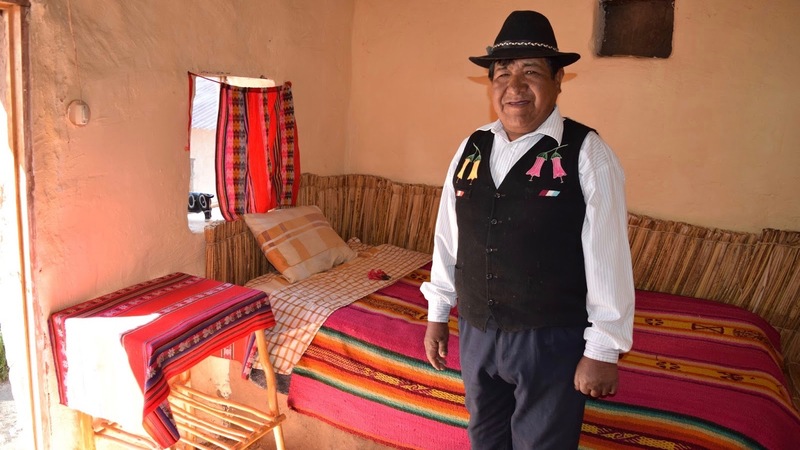 Here, you will experience a local meal and have the chance to shop handmade Peruvian textiles before a comfortable homestay. Day 2 | Lake Titicaca to Puno: After an indigenous breakfast, embark on a short hike to Cerro Carus for tremendous views of the lakeshore and agricultural terraces. 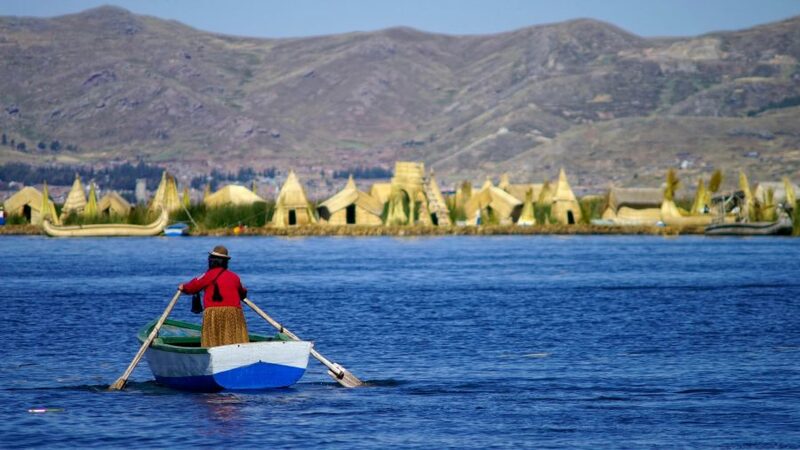 In the afternoon, you’ll have the chance to sail over the world’s highest navigable lake on a local fisherman’s boat before returning back to Puno. 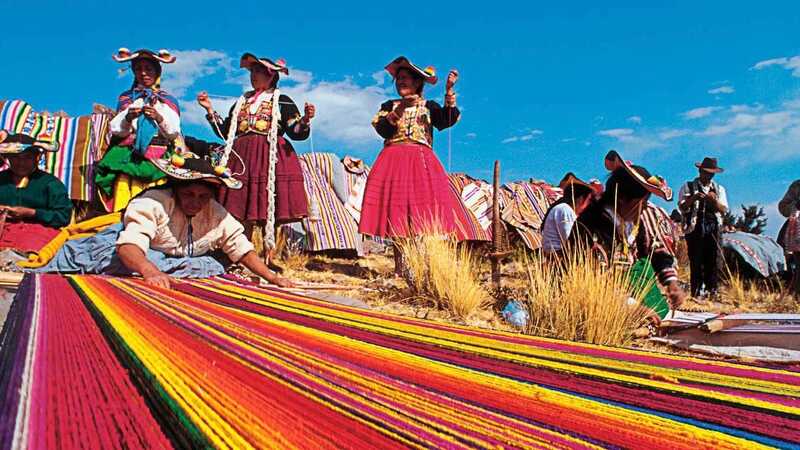 To learn more about Puno and Lake Titicaca, read our ultimate travel guide here. We recommend you to book at least 3 weeks in advance. Overnight with a local family. You will have your own bedroom. 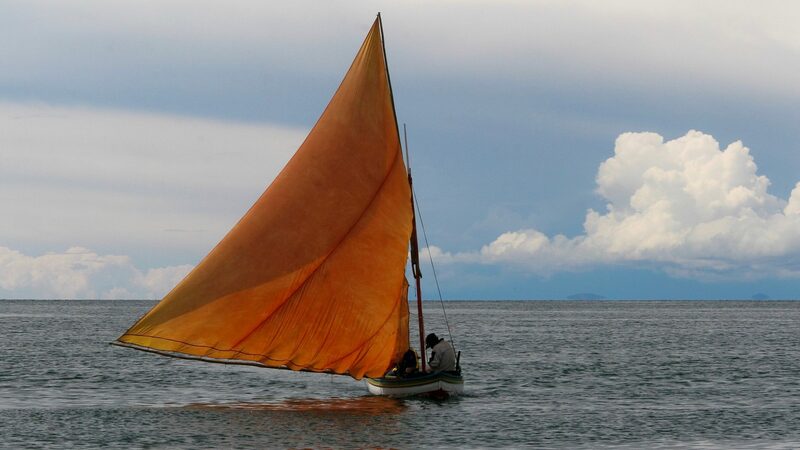 Local activities like fishing with sail boat, hiking and weaving with your host family. We started our day on Lake Titicaca early, in comfort. The whole day was well planned and each part of the trip was easy and comfortable, from the boat tours around the island to the walk up on the Taquile Islands. 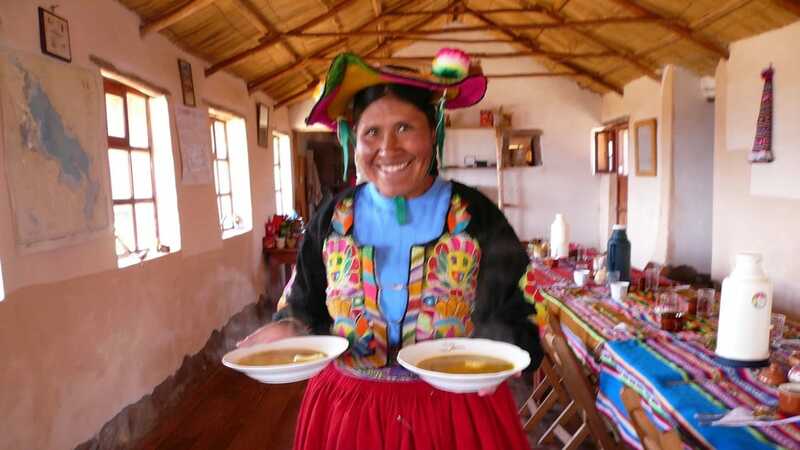 We were told before by Katherine that we would need to bring extra for lunch, which was appreciated- some tours leave hidden costs hidden so we were grateful for the openness of the organisation from PIE Peru. Would really recommend booking this tour with PIE! This was a brilliant tour. Our guide, Elvis, was very informative and friendly, as were the people whose homes we visited. 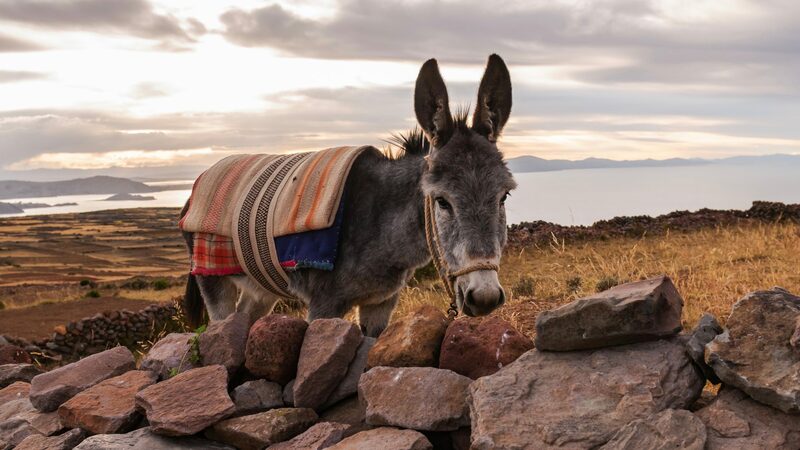 It was great to experience island life on Lake Titicaca and meet the residents. We would definitely recommend this tour.